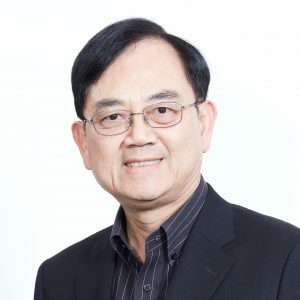 Initially trained as a professional accountant, Mr. Allen Ma made himself well known in the regional Information and Communication Technology (ICT) industry by quickly moving into the core business area of multinational corporations in charge of customer and business operations. Besides creating shareholders value and keeping his customers satisfied, his other interest in business is the study of mega trends (both social and technology) and the ecosystem required to enable its stakeholders to benefit therefrom. Over the past 30 years, Mr. Ma has contributed to the development of Hong Kong’s innovation and technology industry in various positions. Prior to his retirement in July 2016, Mr. Ma was the CEO of Hong Kong Science and Technology Parks Corporation (HKSTP). In this position, Mr. Ma redefined the vision and mission of the Corporation and laid out the corporate strategy to form three technology application platforms, expanded HK Science Park and rejuvenated Industrial Estates to address the society’s development needs. Mr. Ma is devoted to nurturing local technology talents through enriching value added services and expanding infrastructure for HKSTP’s Incubation Programmes. These together have built a vibrant innovation and technology ecosystem that underpins Hong Kong’s ambition to reap substantial economic benefits through re-industrialisation. He has also held senior executive positions in his career with a number of multinational corporations primarily in the ICT sector, including British Telecom Plc as President, Asia Pac; Motorola Inc. Global Telecom Solutions Sector as VP & General Manager of Asia; and C&W Hong Kong Telecom in a number of senior executive positions. Mr. Ma is currently the Non-executive Chairman of Novoheart Holdings Inc., a bio-technology company with its stock listed at the Toronto Stock Exchange (Venture). Mr. Ma holds an MBA from the University of Toronto and is a fellow member of the Chartered Institute of Management Accountants, UK and the Association of Chartered Certified Accountants, UK. He is also a CPA, CMA, Canada.